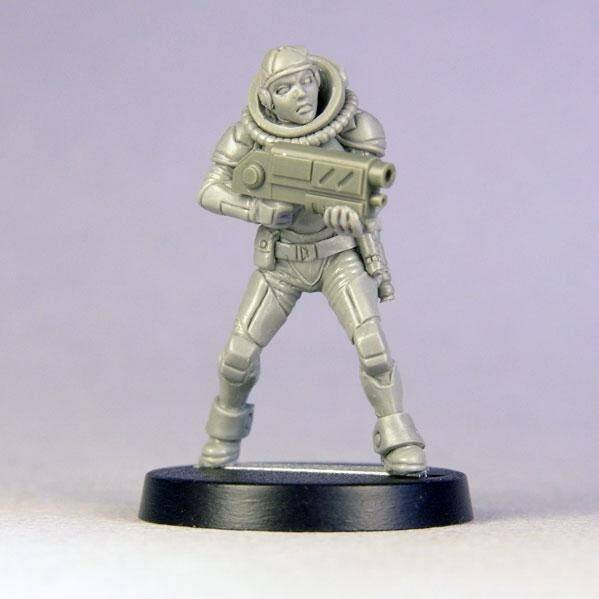 Pewter model. Comes with clear plastic helmet cover. Supplied with plastic round 25mm base. Comes unpainted, assembly required.